Please join us for the opening of ‘The King & I’, a screen print (zee druk) exhibition on Koningsdag 27 Apr from 1000-1600. Invited artists from Rotterdam, Amsterdam, Arnhem, Groningen and Den Haag will display their own version of a king via an impressive A1 print. A hands on workshop aided by Mesh Print Club members will be held where you can try on this technique and bring home your own print for free. 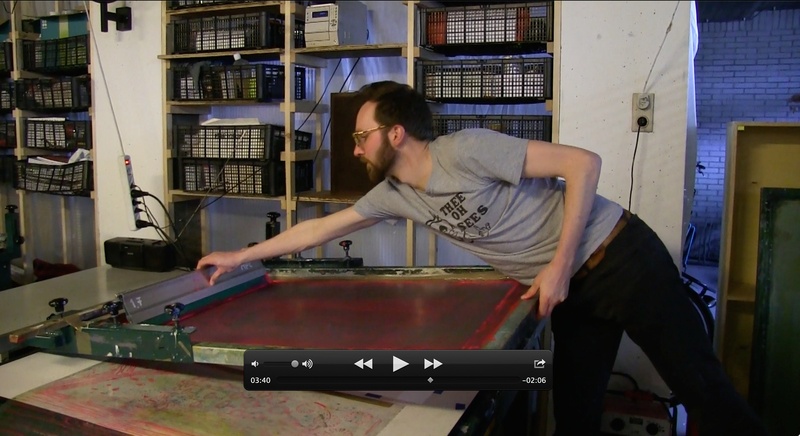 And finally a screening from Wijk-TV will visually explain a short guide of the screen printing process. Artists’ work is for sale (payment via pin only) and this open sales is only possible from 27-30 Apr. The exhibition continues until 31 May. The location is in Noord, at Het Gebouw, ZOHO Lab, Zomerhofstraat 71, 3032CK R’dam. A borrel will be served on 27 Apr accompanying the exhibition, well of course. This exhibition is made possible by Gemeente Rotterdam, ZOHO Lab, Mesh Print Club and The Saloon.